June Only – Aerial Tour at Challenge Tour Prices – Up to 25% OFF Zipline Tickets! Looking for something fun to do this summer while the kids are off school? This June, Monday through Friday book a Aerial Excursion Tour at Refreshing Mountain Retreat Center and get Challenge Adventure Tour prices! 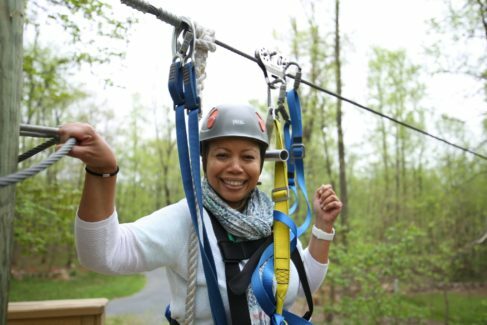 As one of the premier things to do in Lancaster, PA, the Zip lines at Refreshing Mountain are a top attraction in Lancaster County. Our zip line tours are kid-friendly and safe for all ages. Ziplining is a great activity for individuals, families and groups looking for a fun, outdoor activity. Your experience will be refreshing, exhilarating and even challenging at times.